The new 9-36x44 Spyder is the most compact high power scope on the market and is loaded with very attractive features: HDF Low dispersion glass from Schott, Germany to insure superior clarity, resolution and color rendition. Light transmission (brightness) is fantastic as well, making this scope en excellent choice for low light applications. Parallax (focus) adjustment range is from 25 Feet to Infinity. Yes, 25 Feet not yards. Target knobs with protective caps, precise 1/4 MOA clicks, full 25 MOA for each complete turn, 80 MOA total vertical adjustment, illuminated new Xtreme X1 reticle, a 4 inch sunshade and to top it off, a set of premium tactical rings of you choice. This versatile scope could be used very successfully for benchrest competition, Tactical shooting, F-class, Varmint hunting, and extreme long range shooting to 1000 yards and over. 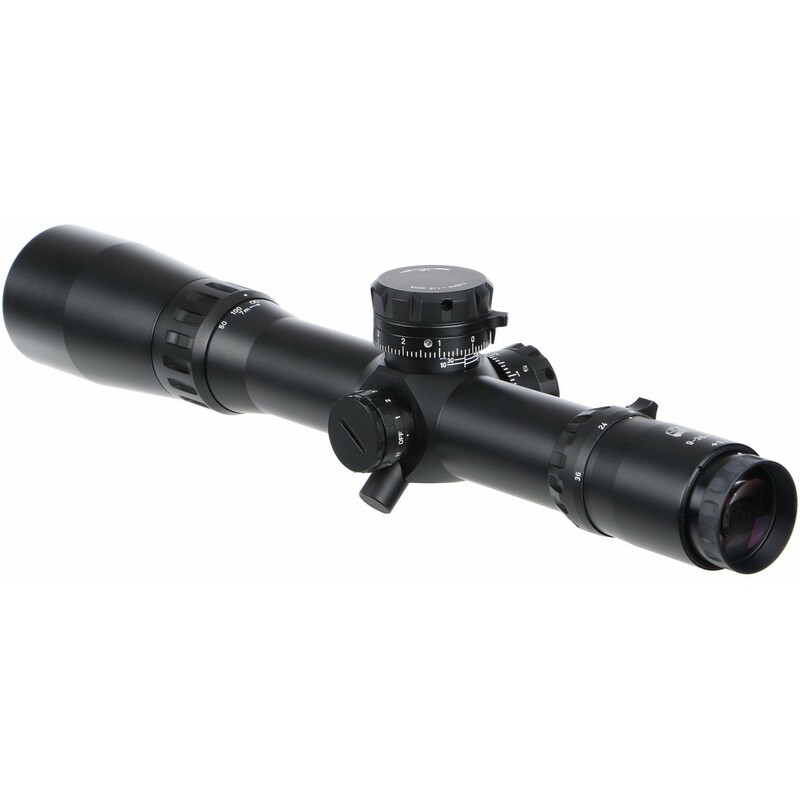 With this scope, you can leave your spotting scope home. You will be able to see better with your 44mm objective riflescope than with most 60mm-80mm objective spotting scopes.